I don’t know about you, but the last two months we’ve pretty much had every virus known to man. I’m pretty sure I should purchase stock in Clorox with how much I’ve disinfected my house. The problem with back to back viruses, whether they are head colds or stomach flus, is that my kids always want soup. But there’s only so much chicken noodle from a can I can handle. Enter these bad boys-easy make ahead soups! 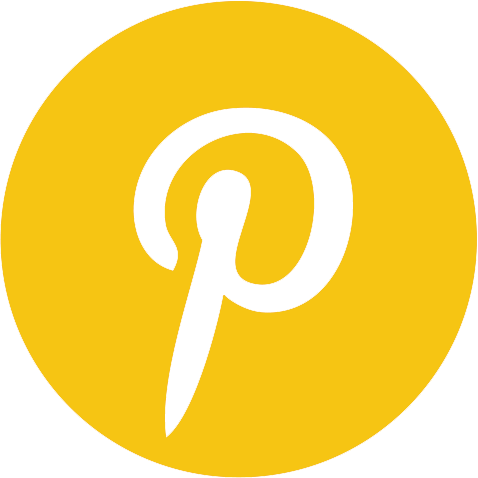 So, grab your favorite crock pot, some kitchen essentials, and start a cookin’ these easy, healthy soup recipes. 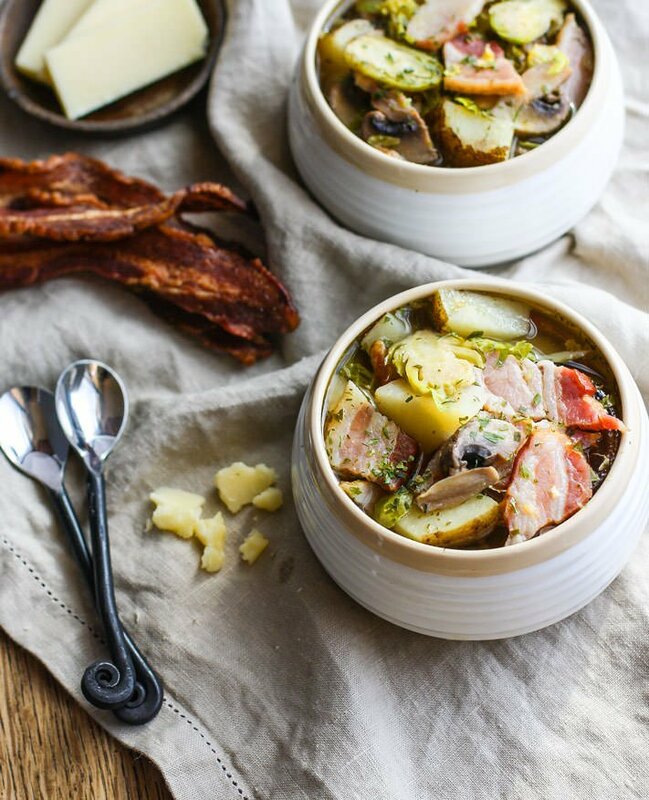 Smoked Bacon Veggie Soup: This is a total crowd pleaser at my house. My husband loves the bacon (who am I kidding-I love it too!) and my kids like the veggies. This soup has an added bonus of being gluten-free and paleo-friendly, so it works great at family gatherings! 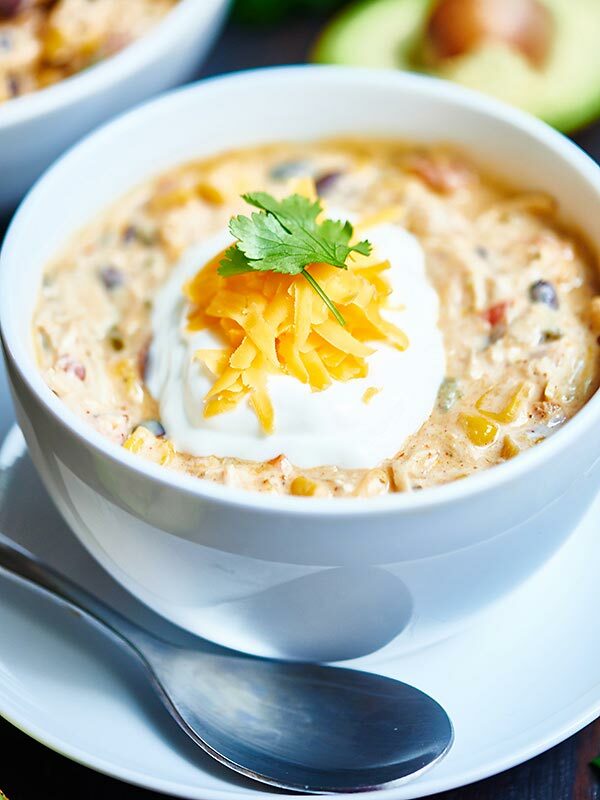 Crockpot Jalapeno Popper White Chicken Chili: I know, it’s technically not soup. But it comes together so easy and is such a crowd pleaser I thought it was worth it to include. You can amp up the heat as much as you’d like, and I love topping with my favorite chips, avocado, and sour cream. 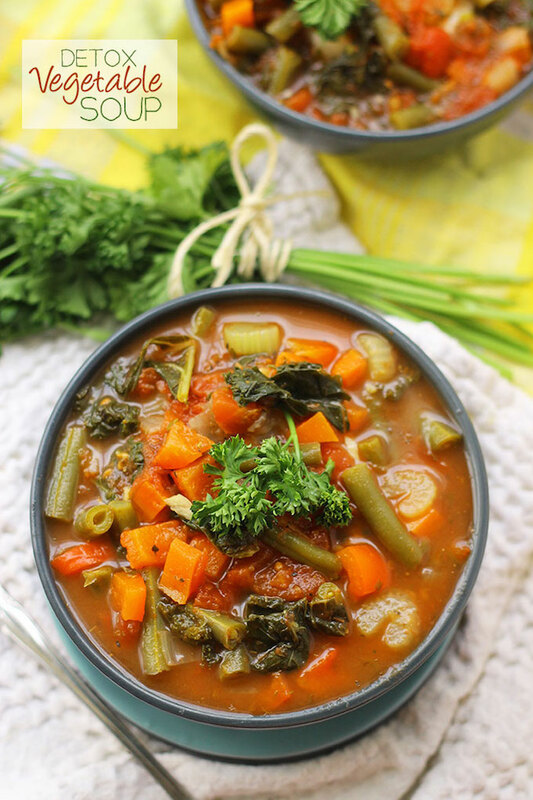 Detox Vegetable Soup: This is a great soup for recovering from a cold. The veggies are soothing on both the throat and the belly. Not to mention it’s got some great detoxing abilities. 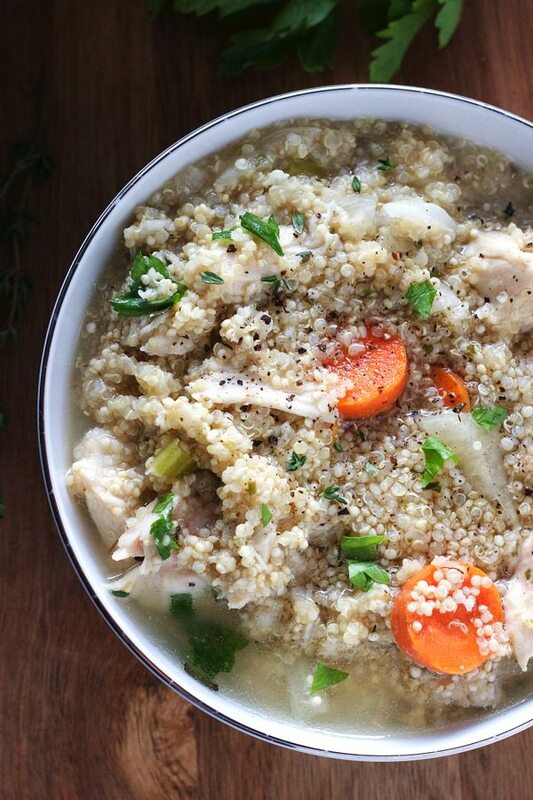 Slow Cooker Chicken Quinoa Soup: This is a twist on the classic Chicken Noodle. The nice part is the added protein of the quinoa along with the chicken. 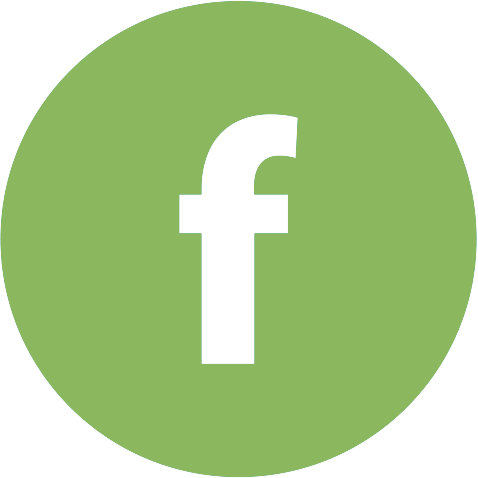 It has a light taste that is great for sick kids and husband’s alike. 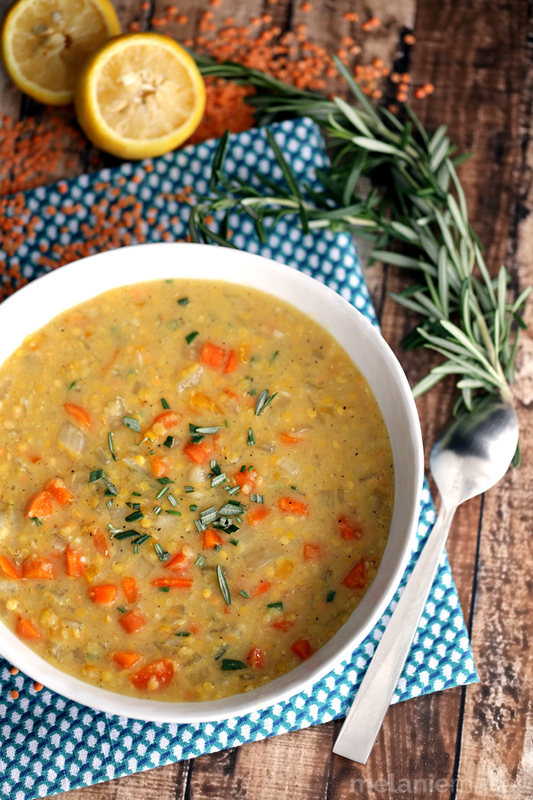 Slow Cooker Lemon Rosemary Lentil Soup: This soup is healthy, creamy, and full of some good protein. It has a gentle taste, but still has flavor. Pair it with some delicious cornbread and you’ve got yourself a beautiful meal. So, whether you’re in the mood for soup because there’s some sudden snow outside (Utah weather, anyone?) or you’ve got a house of sickies who need a little immune boost, hopefully these soups will help you savor the moment and rebound. These all look so delicious!! !